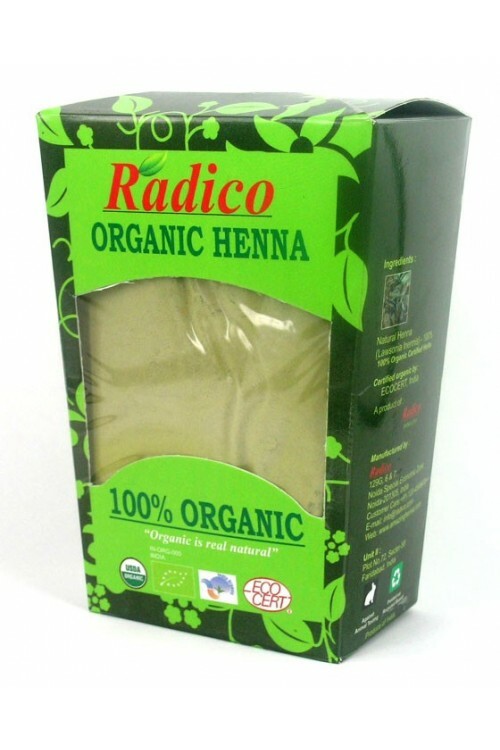 Radico Organic Henna Powder is made from selected henna leaves undergone thru carefull processing procedure of sorting, grinding and triple sleving by hand. Over the years henna has been used as a natural/herbal hair color and it's use on a consistent basis improves the health of hair. So opt for this completely natural color that adds glow to your hair. 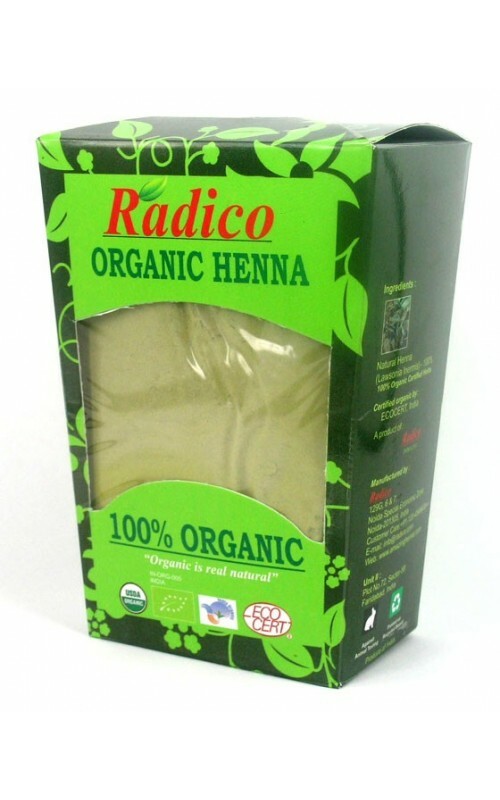 Radico Organic Henna Powder is a Certified Organic product. Organic Henna Powder is made from selected henna leaves undergone through careful processing procedure of sorting, grinding and triple sleving by hand. Enjoy the magic of pure organic henna and feel the difference in your hair. Organic henna powder is completely free from chemical. We can call it 100% pure and natural. Hence It gives you the natural effect & benefit of pure henna with coloring effect. It is also tested & certified by ECOCERT, India. Organic henna powder is made from high quality Organic henna leaves after sorting, grinding and hand sieving from three clothes. The rigorous sieving process makes it a very fine henna powder. Used for Hair Care & Henna Tattoo Designing.